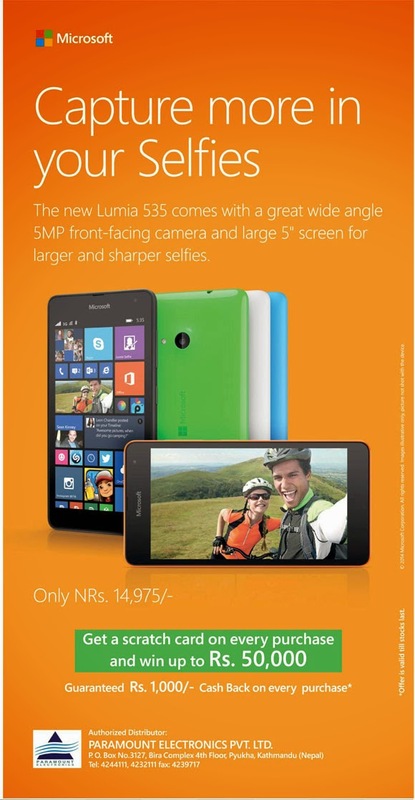 Microsoft has launched a new Microsoft Lumia 535 in Nepal. This mobile phone can be the best option who wants to use a smart phone at a cheap price. Also, you will get guaranteed Nrs.1000 on every purchase of this smart phone.